Some things are cleaned more often than others. Other things are almost never cleaned! But not on purpose. In the age of social media, you need to know about the most germ-ridden places that could be snapped and slapped online for all potential future customers to see. Time should be set aside each month to make sure that those lesser-known places or items are properly cleaned so that they do not jump out at a visiting customer six months down the line and cause a PR nightmare. Step 1: Create an itemized list of “occasionally cleaned” areas and items. Step 2: Convert the list into a checklist. Step 3: Designate times each month to get these things cleaned. Step 4: Set up a monthly inspection with your cleaning manager to ensure it is done. During this step, you will sweep through your facility and identify areas or items that need cleaning at least once a month. These can include ceiling fans, small electronics, refrigerator bins, doors, cupboards, curtains, brooms, shower curtains, headphones, and telephone receivers. Build a checklist for your cleaning team based on the items you have uncovered. Each item needs to be cleaned at least once a month for hygiene purposes. Calculate how long each “occasional” clean will take, then set aside an adequate amount of time to get it done. 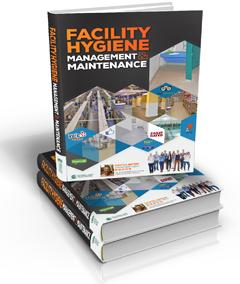 If your facility, for example, has 28 phones, that is 28 receivers that need to be wiped down with antibacterial cleaner at least once a month. 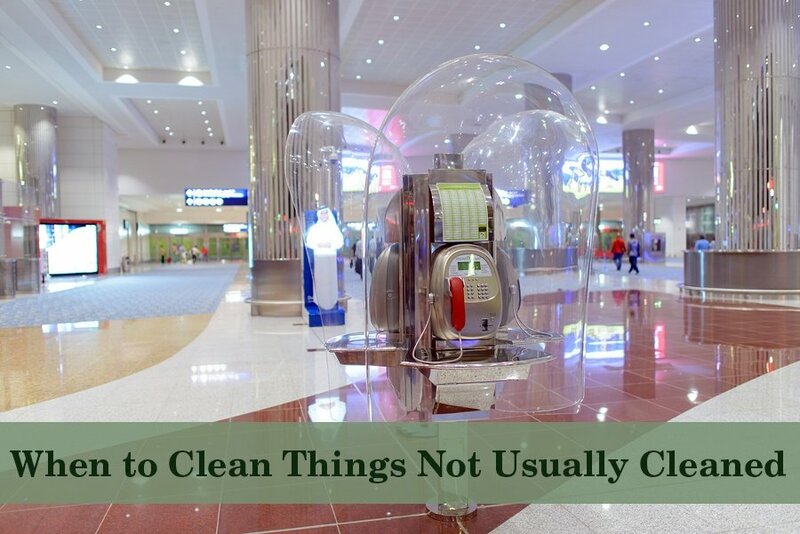 Use your discretion in deciding how often something should be cleaned based on use. Cleaning regularly is vital, but getting to those things that are “not as important” to clean as often can be equally as important. Guarantee they get done by establishing an “occasional clean” monthly inspection. If items are too dirty, increase your cleaning times. Once a month is a good starting point for any facility, but it does depend on your level of foot traffic and what industry you are in. Hospitals, for example, may find it necessary to clean these items and areas more regularly to limit the spread of infections.